Join Serge Ramelli as he shares his secrets to creating amazing cityscapes. Great cityscapes start with great captures, and Serge begins the class with a discussion of camera settings and his approach to being in the right place at the right time. 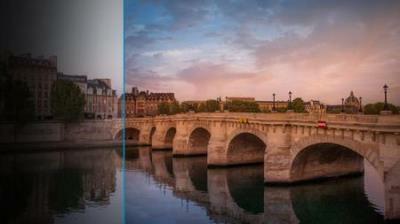 After the photo is taken, Serge steps through his editing workflow in Lightroom. Starting with the global edits that lay the foundation for a strong cityscape, Serge moves on into a detailed look at how to use all of Lightroom's local adjustment tools to take your photos to the next level. Whether you are shooting with a DSLR or smart phone, and from stitched panoramas to merged HDR, Serge shares the tips and techniques that you can use in all kinds of situations.